« When library scientists complain about having too many books. The bottom photo shows a functioning scarecrows made of indigo-dyed hemp. 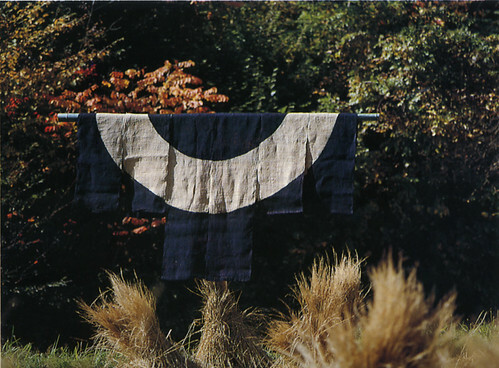 The original book caption reads “The bold design of this piece of shibori-dyed hemp by Seizo Ishikawa, a farmer, seems at home working as a scarecrow by a newly harvested rice field.” The birds in Japan must have been accustomed to seeing farmers in real Japanese indigo yukatas, waving their arms. In the top photo, however, the proximity to the house suggests mainly the traditional Japanese method of drying kimono, yukata and other garments, but it probably conveniently doubled as a scarecrow. The target design is interesting, perhaps suggesting part of an eye? 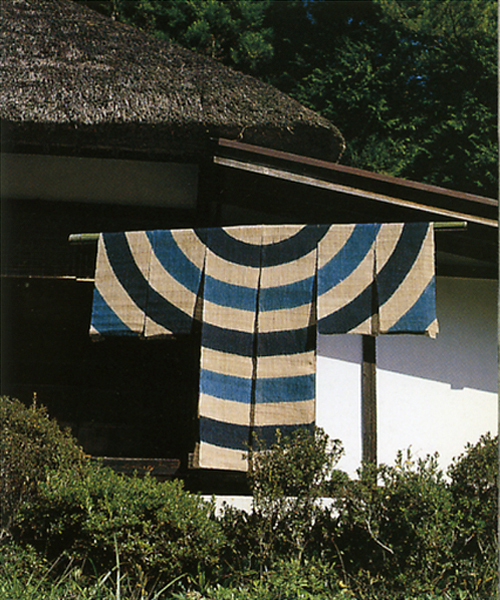 From the excellent book Japan Country Living: Spirit, Tradition, Style by Amy Sylvester Katoh, photographs by Shin Kimura, Charles E. Tuttle Company, Rutland, Vermont and Tokyo, Japan, 1993. Kimura’s work has also appeared in Met Home and Paris Vogue. Also see their excellent book Japan: The Art of Living. This entry was posted on Wednesday, April 1st, 2009 at 6:05 pm	and is filed under design. You can follow any responses to this entry through the RSS 2.0 feed. You can leave a response, or trackback from your own site. The eye theory is striking! I noticed, birds are sensitive to eyes, this is where hens attack, and other birds see camera objectives as eyes (how true) and hide from them.